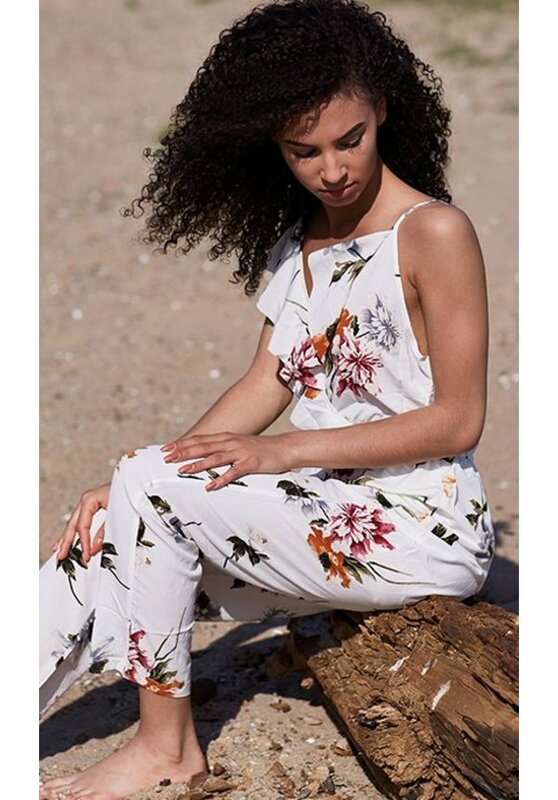 The Flora Jumpsuit is the musthave for this summer! 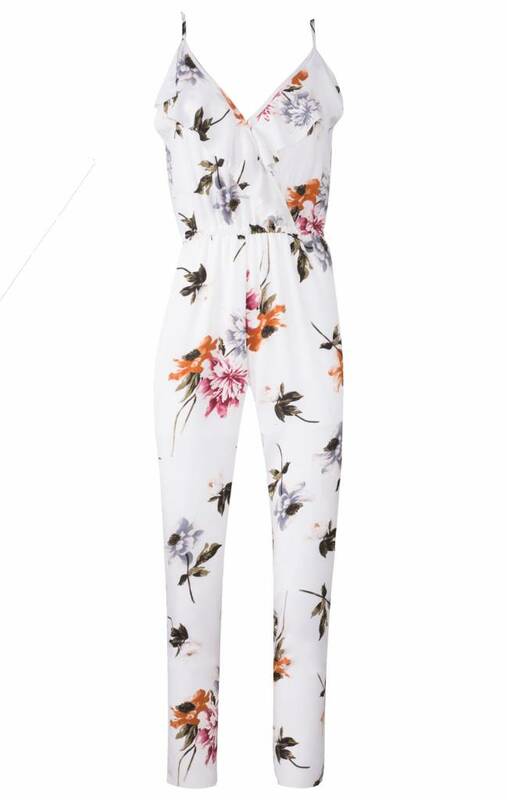 This Flora Jumpsuit in the color white with a trendy floral print.It has a v-neck and narrow straps. 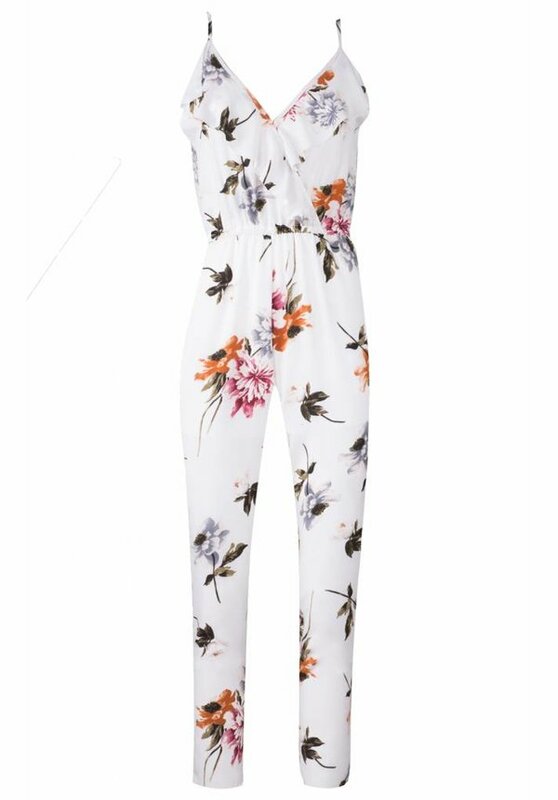 Add heels to complete the outfit.